The brass ‘grommet’ MAY have been removed on some cars to fit a conventional bowden/sleeved cable, but the consensus is that the majority of the cable was unsleeved. Have owners got good original photo evidence of the bulkhead passing point position and the make up of the cable – solid or wound? 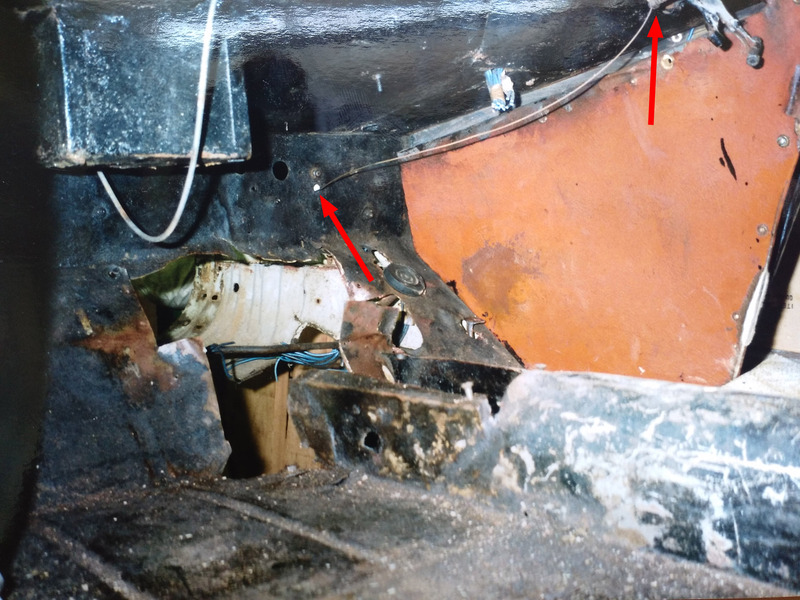 Chris Gould has mentioned that his bulkhead is grooved where the cable ran (perhaps from a non-Nippy engine being installed at some point with a slightly different ‘sit’), which could suggest there was never a rubber grommet fitted at that point. One red herring for fitting up cars from boxes of bits may be the letter markings on the “choke”. I have one cable with ‘S’ which I thought might be ‘starter’, but actually fits the choke position… which in those days was the ‘Strangler’. Have original cars got letters marked, or are they plain? Chris Gould replies: Here are some photos from my car that may be of help. I can’t swear that everything is to original specification, but I did my best to get it so when I first restored it. I am certain that the grommet you show is correct. I believe that the cable was wound originally. I remember when I was young my father’s Standard 8 had a wound choke cable and the mechanic replaced it with piano wire as it was easier to get and wouldn’t fray. I think nearly all cars would have had wound cables originally, and over the years it has been replaced by wire. The photo below is an Austin 7 choke control and there is no lettering on the knob. I am pretty sure that the starter knob doesn’t have a letter on it. It also seems there are two designs for the 65/Nippy steering column bracket. 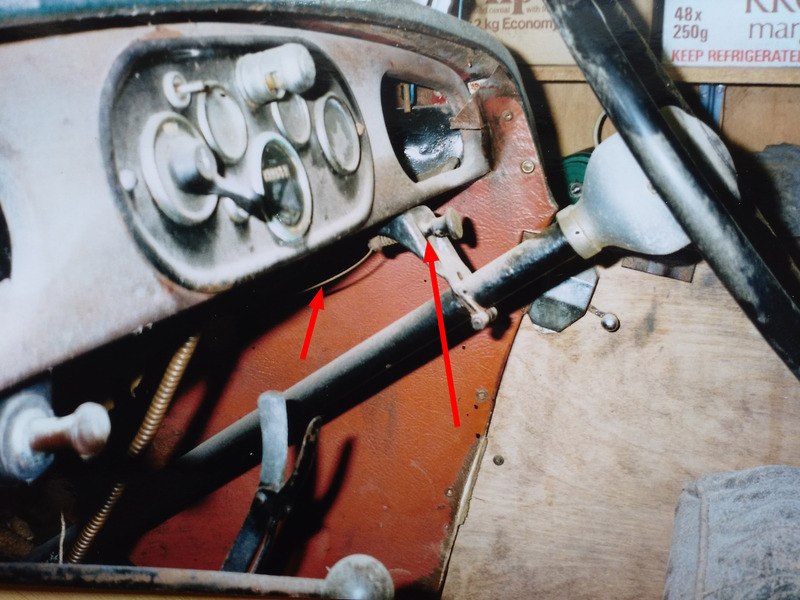 The one from the 1935 car (first picture) has a recess to lower the angle of the pull knob. The Gould picture and some other images from 65s have a much plainer panel with no recess. Can anyone else with the recessed part confirm what age their car is please? Or can anyone suggest whether it could have come from a different model?